There’s a poignant food moment during Made in Heaven, the gorgeous Amazon drama set in New Delhi, that makes me hungry remembering it. Tara, the show’s beautiful and troubled heroine, is alone at night when she buys a snack called golgappas from a street vendor. Golgappas are mini puris stuffed with cooked vegetables and bathed in spicy toppings: a sloppy, crunchy treat that pretty much everyone in India knows, although the dish’s name is different according to your region. Tara returns home from her street food adventure and tells her husband Adil that he’s got to try these particular golgappas. He refuses, saying that street food is will only cause disease. Because the dish is drenched in spiced water, I can understand the objection; although in this case, Adil’s a snob and is denigrating his wife along with street food. Golgappas, in his mind, are an evil force. I wish I had the superpower to blithely eat street food in India. I still dream about about the gorgeous purple grape juice that was being hand-crushed on the street in Mumbai, that I longed to sip but did not dare. The trouble is that I have a sharp memory from my first trip to India in the 1970s, when my whole family becoming violently ill after sampling chai made in the railway station. I was the only one who escaped tummy trouble because I was asleep in my berth in our train compartment and missed the opportunity to get a cup. I still get a taste of street food in a very pedestrian way. 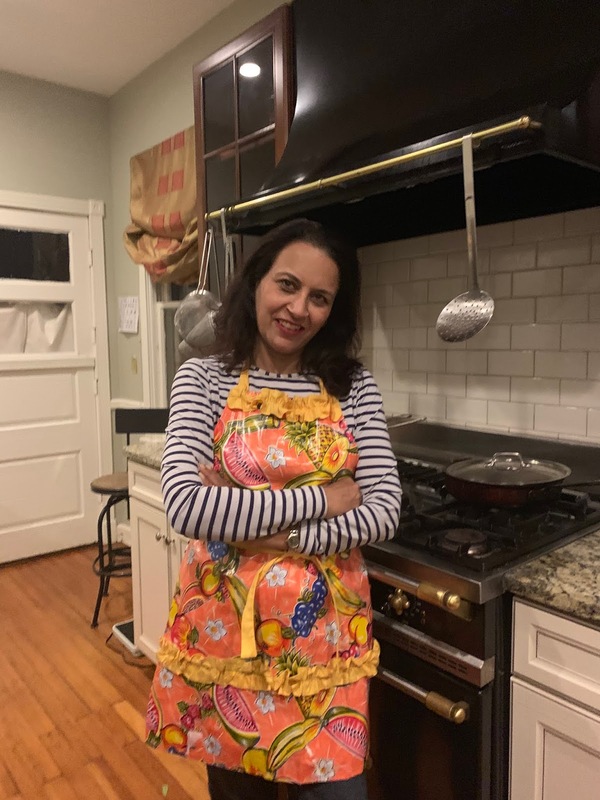 It turns out that a lot of Indian expats miss street food, so they tend to make it at home in the United States. This is where I first tried golgappas and a whole world of fantastic snack foods including pav bhaji and bhel puri. As I continue writing historical fiction set in India, I write meals into my books, and my kitchen experiments grow. I like to match food to the region, of course, because in the 1920s, the only dishes crossing the various provinces were European ones. 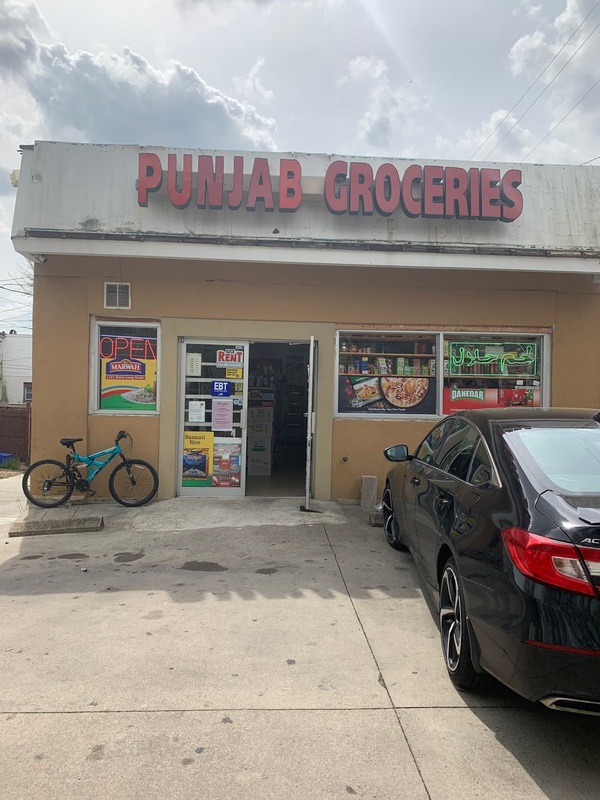 There was no such thing as a generic Indian restaurant serving Punjabi style dishes like tandoori chicken and saag paneer. In Western India, one of the simple, popular breakfast dishes is beaten rice (rice grains pounded flat) typically cooked with a few spices, green chilies, onion and peanuts—though there are variations. 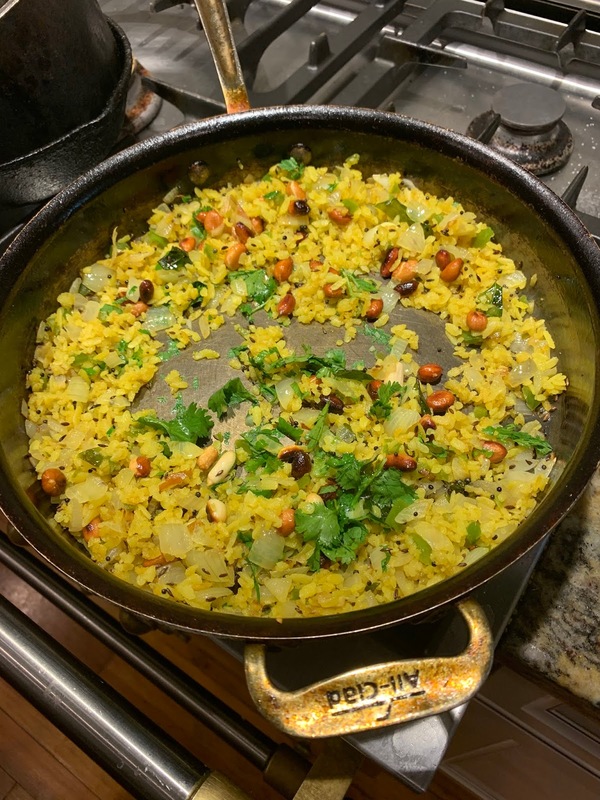 The beaten rice itself is called pohe or poha, and I was introduced to it by my mother, who prepared it in my house when she and my stepfather, who was born and raised in Mumbai, were visiting. When I went to Mumbai, I recognized it on every breakfast table, whether at home or in the hotel. Pohe is also a very mild dish, which made me want to do bad things with it in my novel. If setting can be a character, why can’t food? Could the pohe serve as a kind of weapon aimed to derail my heroine Perveen Mistry, who never resists something that smells tasty? I first tried making this dish for friends from India a few years ago, and it was an epic fail due to my soaking the pohe too long before cooking, and then serving everyone an hour after the dish had finished cooking. The grains were all wet and sticky. For my sophomore effort, I resolved to eat the pohe as soon as it came out of the skillet. Once I had my recipe in mind, I detoured to my nearby South Asian grocery (Punjabi) which had the basics I needed for this dish. 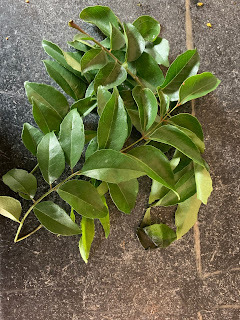 The most important key, besides the pounded rice, are the fresh curry leaves, which are soft and can be eaten just as you might eat cilantro leaves. 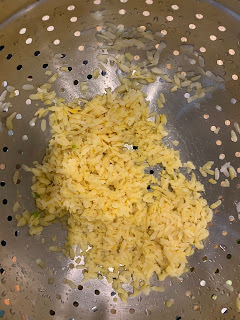 I studied a variety of recipes and noticed a trick for softening the pohe, which I will share with you. I implore you, do not attempt this dish without authentic pounded rice, sold in bags in Asian stores. 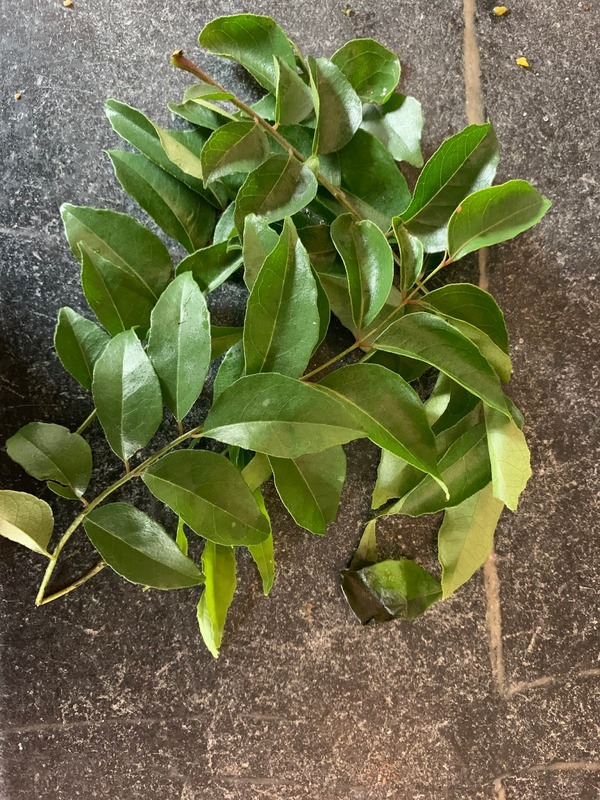 You can pick up the recipe’s second key ingredient, fresh curry leaves, in the store’s refrigerator. 1. 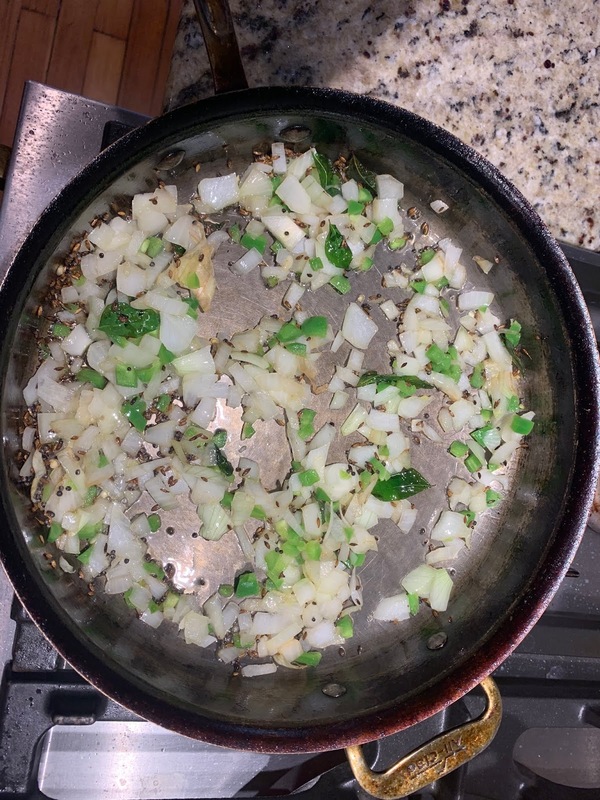 Begin by chopping the onion, the jalapeno, and assembling all ingredients to be used in the dish. 2. 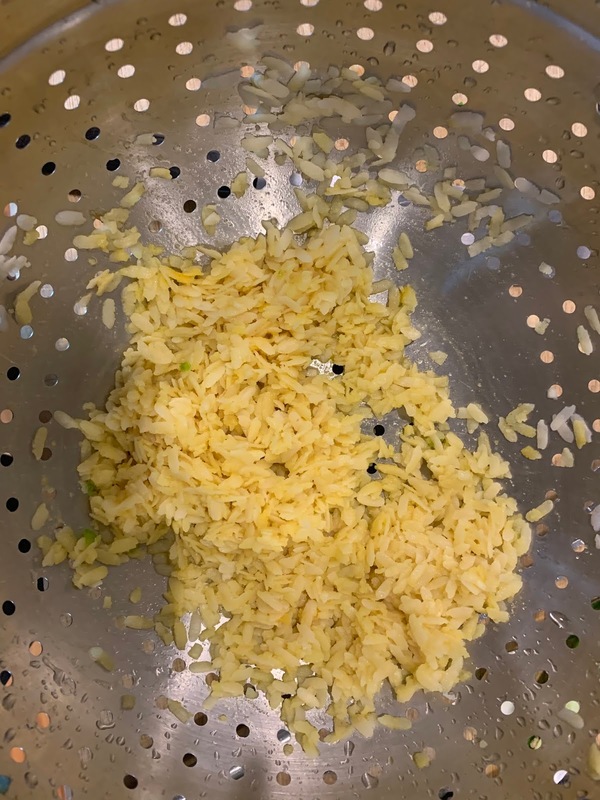 Place the dry pohe in a colander and let a stream of cold water run over it for about 3 minutes. Turn off the water and add the turmeric and sugar. Massage these into the wet pohe until it is tinted yellow. The pohe should be soft to the touch. 3. Heat the oil over medium heat and fry the peanuts for a few minutes. Set aside. Into the same hot pan, add a little more oil as needed and toss in the mustard and cumin seeds. When the mustard seeds start popping, add the curry leaves and saute for no more than 5 seconds. Now add in the chopped onion and first portion of chopped jalapeno. 4. When the onion is translucent, pour in the damp pohe and ½ teaspoon of salt. Stir briefly, lower heat and cover pan with lid. Let everything steam-cook on low for about 5 minutes; it’s OK to check that nothing is burning. 5. Sample the pohe to make sure it’s soft enough to eat (but not too soft or sticky). Add the lemon juice and chopped cilantro and peanuts. 6. When serving on individual plates, allow people to add extra jalapeno from the reserved portion to their own dish if they are hot food lovers. I think I’ve figured out pohe, because it tasted like I remember in India. I ate two portions at “brenner” (breakfast for dinner) and went back for another taste while I was writing it. The proportion of this recipe feeds two people. This is my taste of homey Maharashtra for you. When The Satapur Moonstone comes out in May, you'll understand how a mild-mannered dish can be distorted for nefarious purposes. I would love to try this recipe. Thanks for sharing! When I lived in SE Asia, I ate a lot of the breads sold on the street. Last time I went through India, I was very careful about what I ate, but still got sick several times. I love Indian food, but the only place I really can't eat it is in India. As you know, I love Inidan food. My go-to recipe book is Madhur Jaffrey's An Invitation to Indian Cooking. Because it encourages you to make the dishes from scratch, it's an ideal way to experiment with different proportions of spices. You will end up with the exact taste you enjoy. Summit Number 100 . . . Sort of. The Week the Music Died.